There comes a time when a building must be brought down. Whether it is a residential or commercial building demolition at some point in time will be inevitable. When a building becomes unsafe either due to structural weakness or aging then you should consult a demolition contractor. Selecting the right and professional demolition contractor is the initial and most important step in conducting a successful demolition. The demolition process will only begin once you have selected the most qualified and experienced demolition contractor. Building demolition is a complex process that is determined by various factors. There are various demolition techniques suitable for different demolition projects. A professional demolition contractor will determine the scope and requirements of your demolition project before formulating a plan. 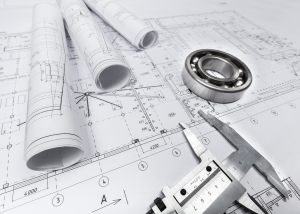 A plan will be formulated after determining the requirements of your demolition project. The plan will detail the demolition techniques to be applied along with the equipment. The objective of the plan is to ensure the building is demolished successfully using the safest methods without exceeding the budget. The plan will depend on the size of the structure, the materials used to build it, the scope of the demolition as well the building location. Some of the demolition techniques to use include implosion, deconstruction, partial demolition as well as the traditional excavator. Once a plan has been formulated the demolition contractor will know the technique, equipment required, the estimated cost, expected amount of debris and how it be cleared from the site and the time required to clean up the site. A demolition plan will also include a contingency plan. You must obtain the necessary permits from the local authorities before embarking on a demolition project. The impact of bringing down a building and removing it completely from the site will not only change the landscape but also affect property values and taxes within the area. Once you have gone over and settled on the plan, the contractor must now obtain all the required permits to make sure all the legal requirements have been met and it is within the law to proceed with the demolition. After the local authorities have given you the green light to begin demolition by providing all the required it is now time to prepare the demolition site. Regardless of the size of the demolition project, you must prepare the site. Make sure the building is thoroughly cleared and all the utilities such as electricity, water and gas have been cut completely. Inspect the building for hazardous compounds like asbestos and lead, ensure they are handled by the experts. Any materials that can be recycled or reused should also be carefully removed without damaging them. A professional demolition contractor must carry out site preparation. Finally, all the permits are in order and the site has been prepared, now set aside a date and time for the demolition. Viewing the demolition in progress is fascinating indeed. The skill and coordination that is involved in bringing down a building is simply mind blowing. Demolition gives room for fresh ideas in building and construction. The first step in demolishing a house is finding a licensed and bonded demolition contractor to remove the structure. Ensure the estimates from the contractor specify everything including obtaining necessary permits for the job. Demolitions need to be carried out in a safe working environment, therefore inspecting the house for hazardous materials is a critical first step. Materials such as asbestos and lead paint must be carefully removed following the correct remediation procedures. Some demolition companies will subcontract such services to environmental experts. Get in touch with your utility suppliers to disconnect the water, sewer, gas and electricity from the house. Before bringing down the house work closely with your demolition contractor to identify the recyclable materials that can be put to better use. The house demolition can last for a day or more depending on the complexity. Demolishing a house requires heavy machinery such as a giant hydraulic excavator to bring down the house and collect the debris and load onto a truck or dumpster for hauling. Get rid of all the rubble and clean up the site. A clean site means that all the dirt has been eliminated including the foundation of the house. If the new building is supposed to come on the exact spot then the demolition company can utilize the same heavy machinery to get the site ready for the new structure. Your demolition company can handle all the excavation required for the rebuilding of the house. Normally demolition services are charged per square feet. The cost will vary depending on the complexity and specific requirements of the demolition project. Through a demolition company, you can reliably determine the estimated cost demolishing a house. Get a specific estimate from a number of demolition contractor regarding the cost of the house demolition. Before you embark on demolishing a house you must obtain the essential permits. These permits may differ from one state to another. There are certain regulations regarding house demolitions concerned with debris, noise, pollution and other notifications. Ensure the contractor you hire is aware of the regulations and permits for your state. The demolition company you hire must be aware of the regulations regarding hazardous materials such as asbestos and lead paint. Most local authorities demand that inspection for hazardous materials has to be carried before a demolition. Removing hazardous materials must be done following the right procedures. The demolition company you have hired may subcontract these services to environmental experts. Deconstruction costs much more and takes much longer since everything is done manually to salvage as much material from the house as possible. It involves a much larger crew and recovers more recyclable materials such as glass, doors, tubs, pipes, sinks, and other fixtures. Compared to demolition that can be done by an excavator deconstruction is more labor intensive and will cost almost three times more. Getting an estimate from more than one Demolition Company will help you understand whether you are getting a fair cost. However, do not be too quick to accept the lowest estimate go for the best value which includes a fair price and other qualifications such as insurance, license, and reviews. Choosing the right demolition company is critical since demolition errors can cause serious potential dangers.